Smokin’ Grass 420 w/ The Kitchen Dwellers – LazyLightning420 – Armchair Boogie and more!! Smokin’ Grass 420 featuring Kitchen Dwellers! 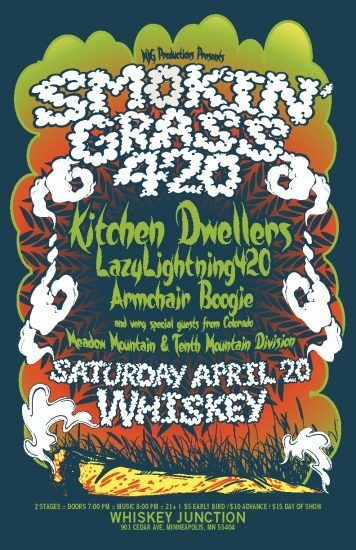 w/ LazyLightning420, Armchair Boogie, Meadow Mountain and Tenth Mountain Division! !